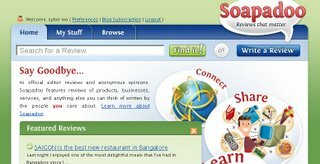 Soapadoo is a website that lets you read & write review of products, businesses, services, and anything you want. Free register. It is easy to browser & write review.